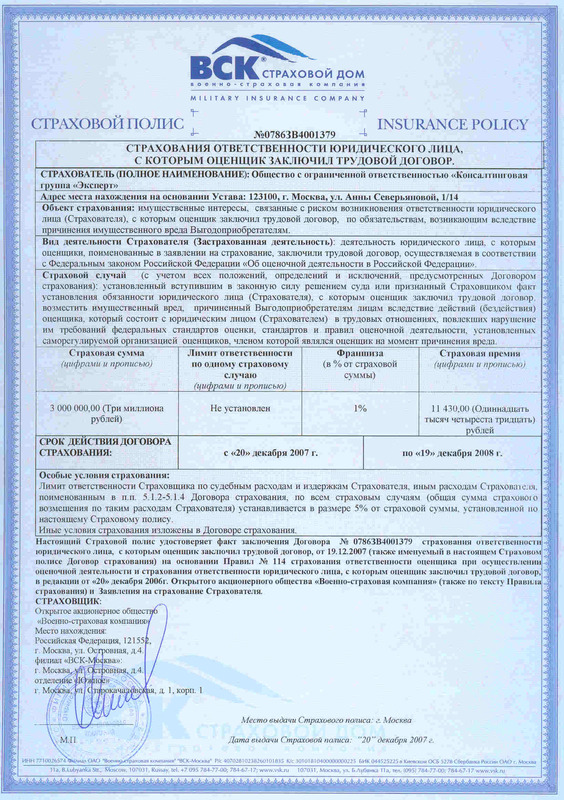 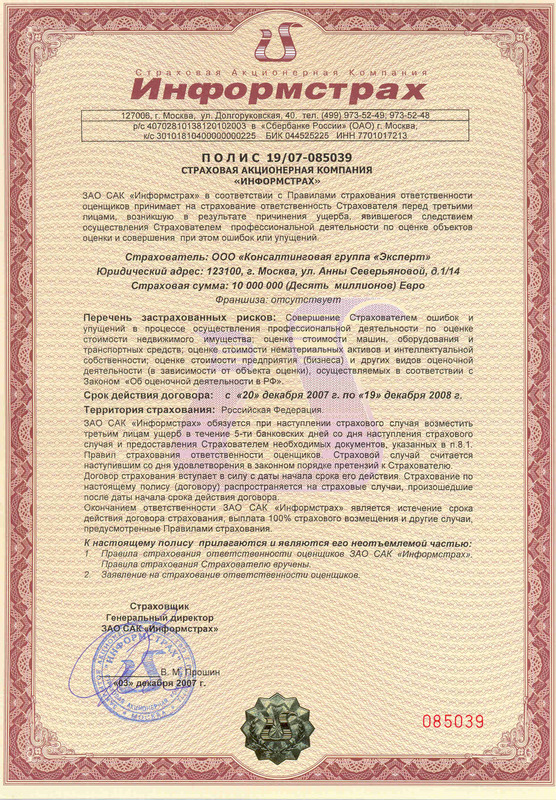 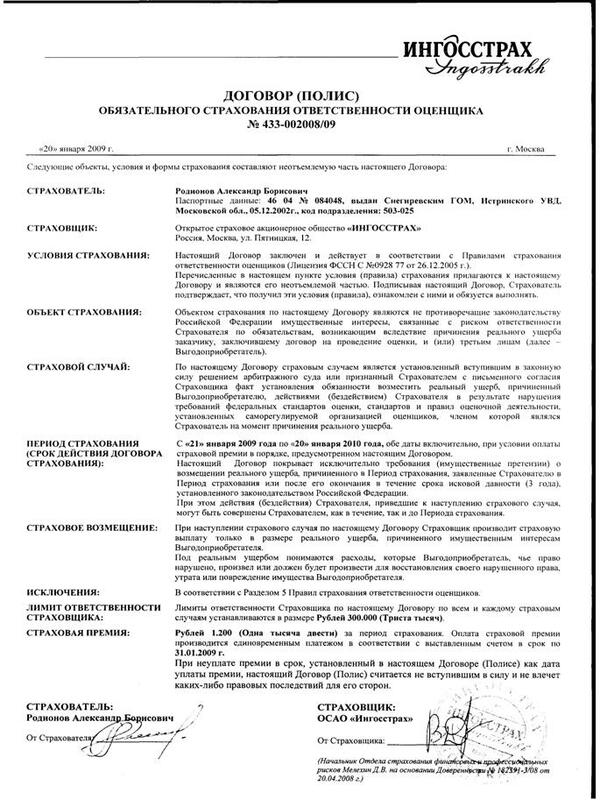 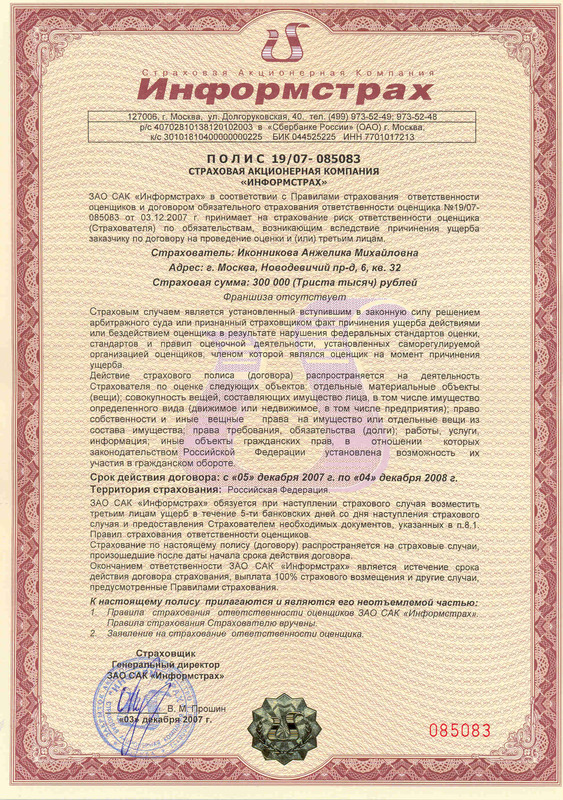 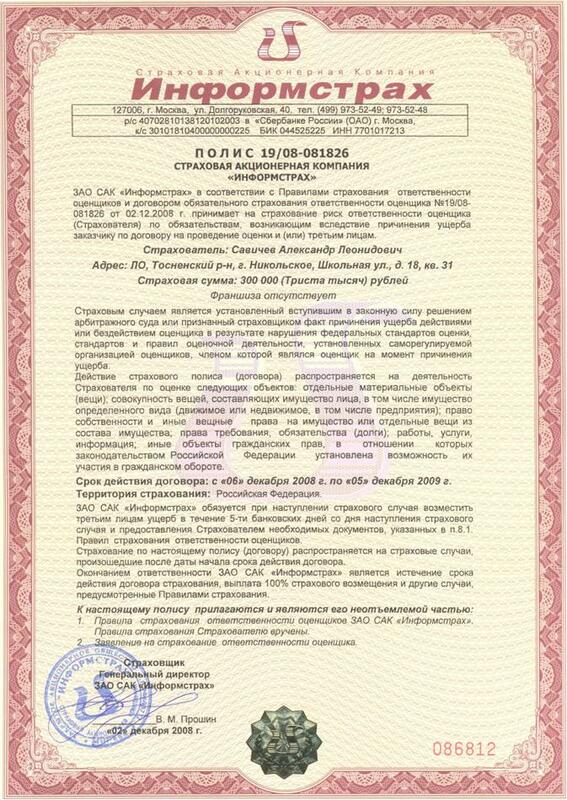 Insurance policy № 19/07-085039 for the period from 20.12.2007 to 19.12.2008, for the amount of 10 000 000 € (Ten millions euro) at JSC Insurance company «INFORMSTRAKH». 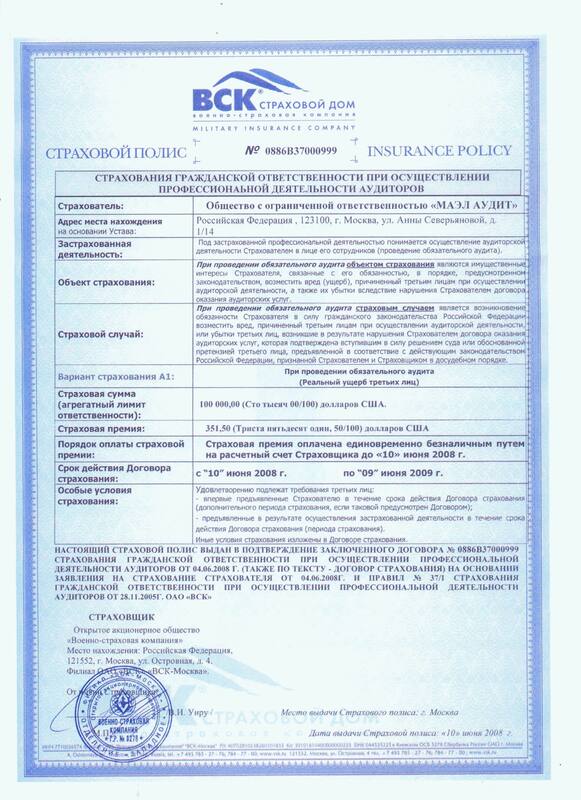 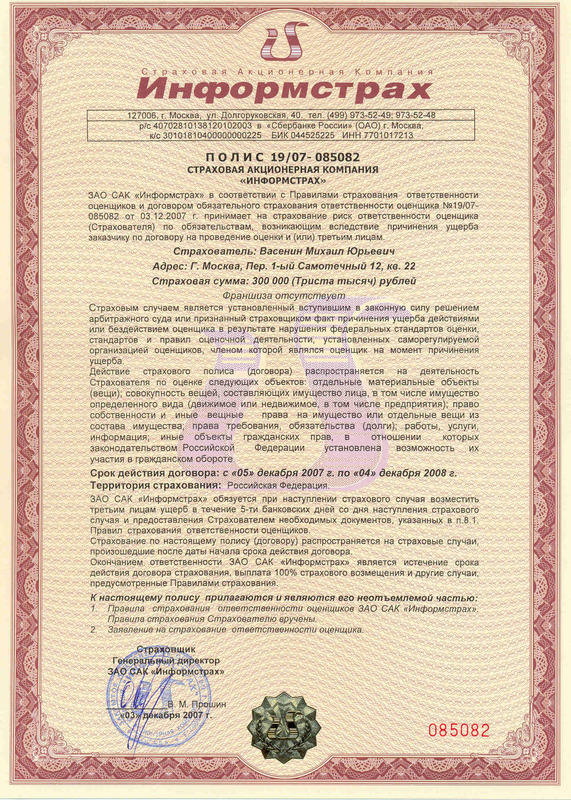 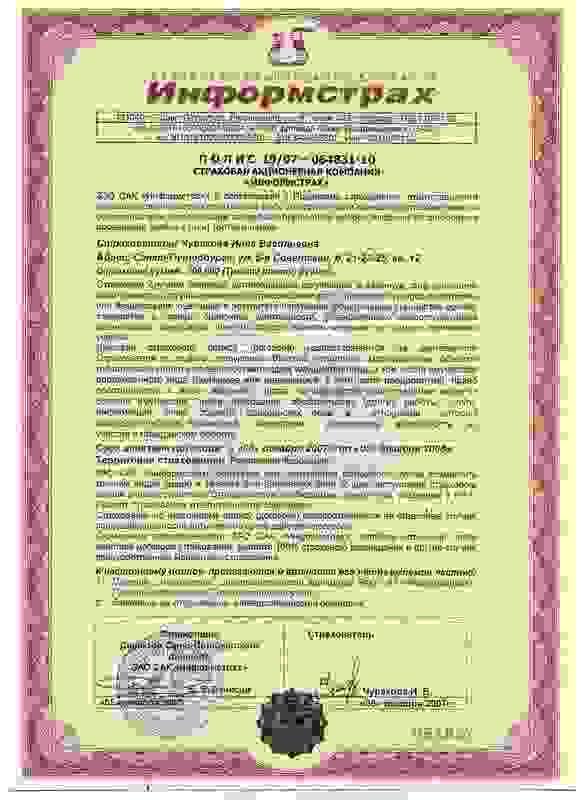 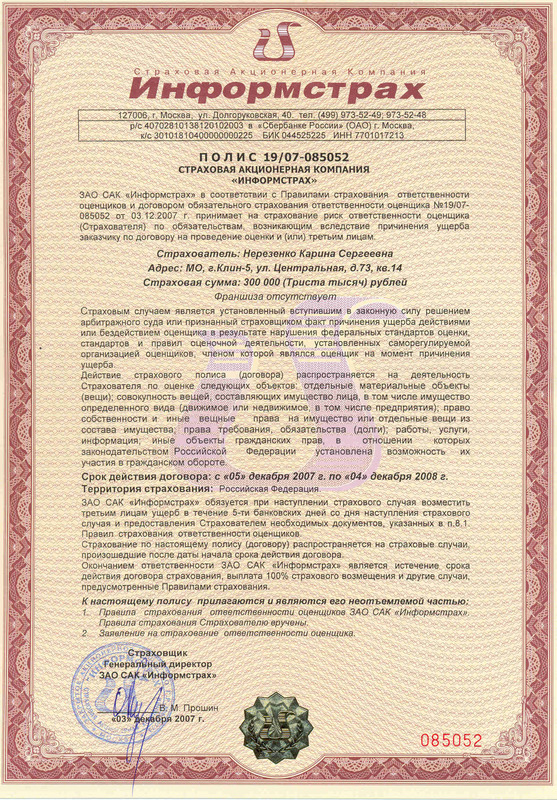 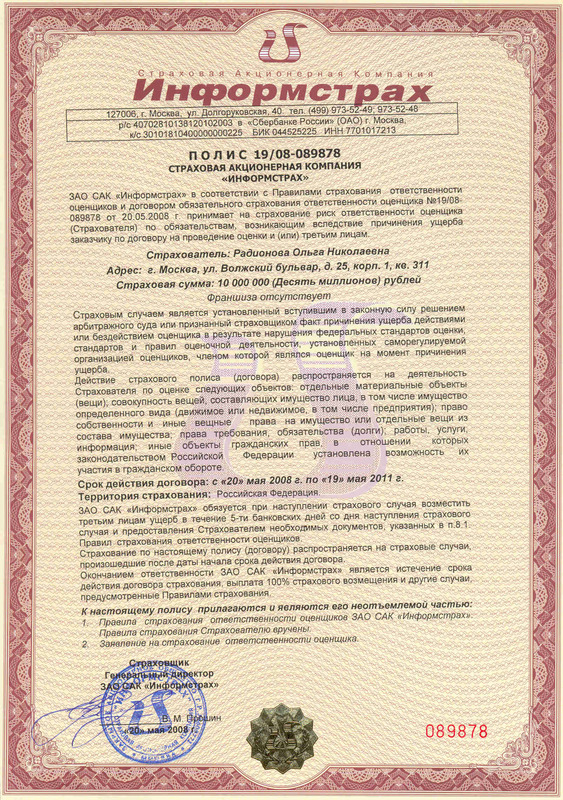 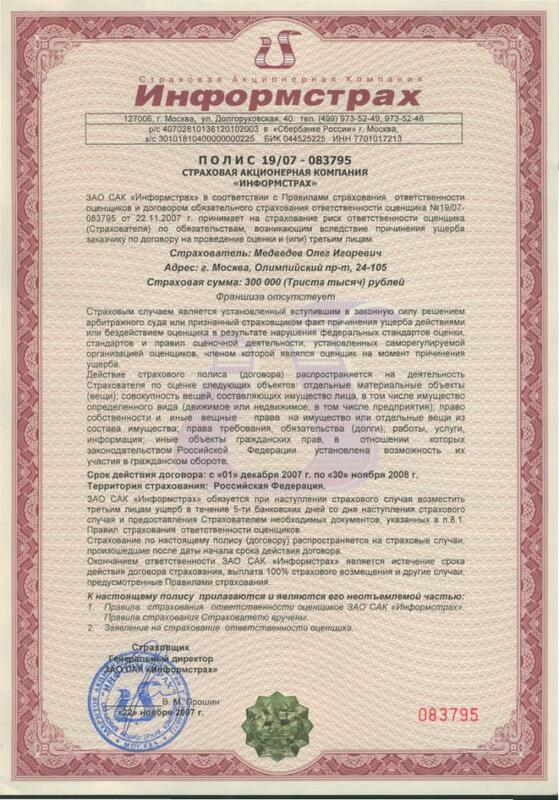 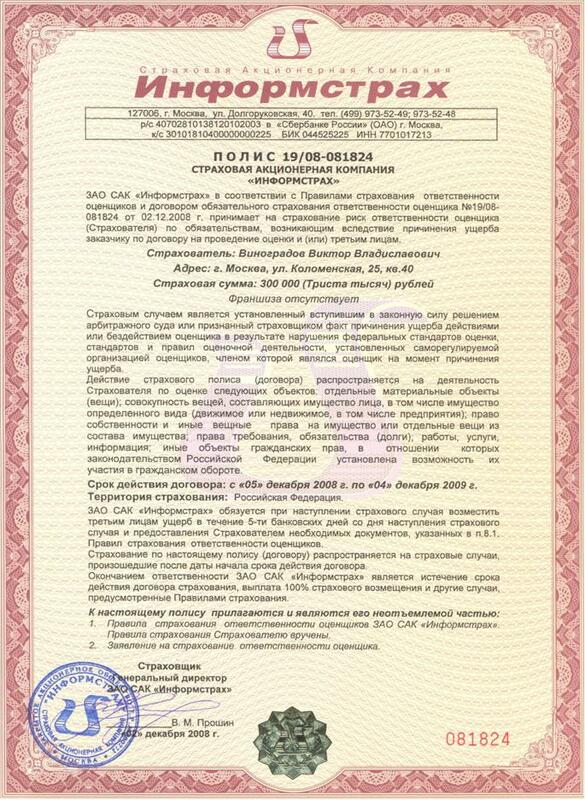 Liability of evaluators, company personnel is insured at JSC Insurance company «INFORMSTRAKH»under agreement of obligatory insurance of evaluators' liability. 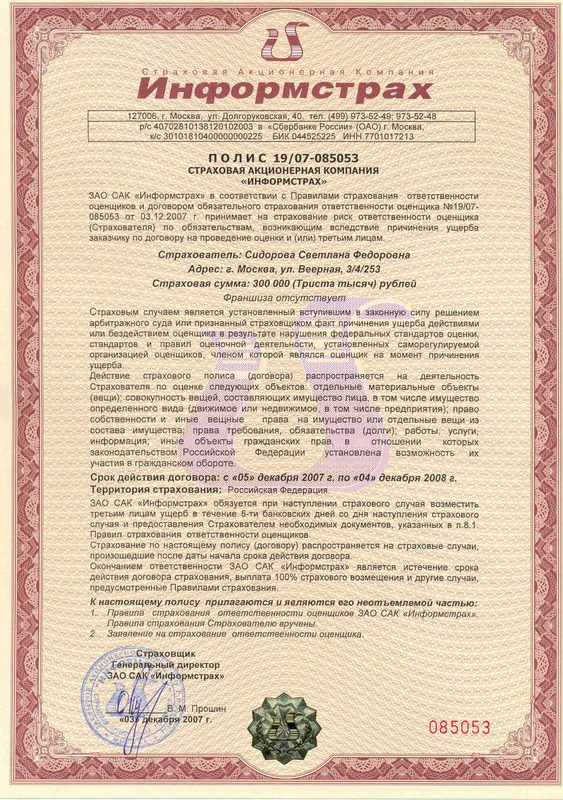 Non-commercial partnership «Inter-regional union of evaluators».